I wonder how often we and our kids wish our skin can restart! This month I’m plagued by a curiosity of the child’s mind (esp. an eczema child!) when learning about creation. And the more I think about it, the more questions I have, guess it’s time to polish up on my bible knowledge! 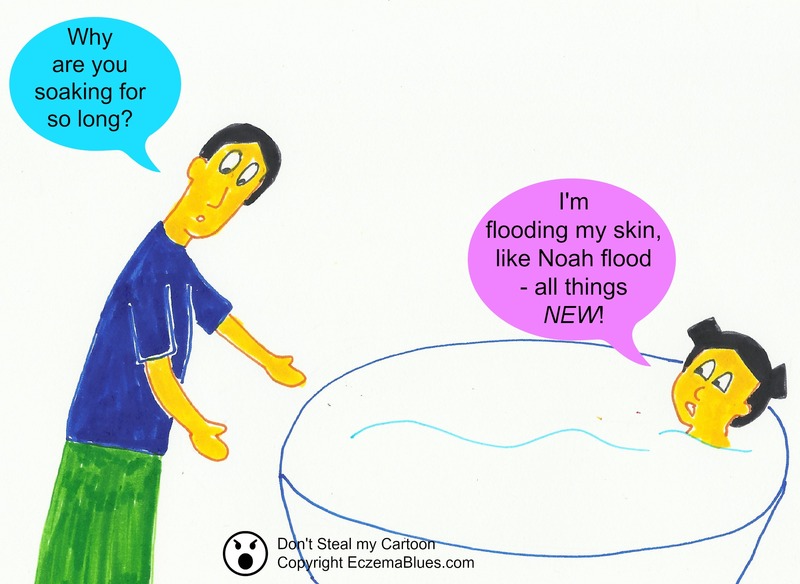 This is the 62nd of my 2nd cartoon series, ‘LIFE OF AN ECZEMA GIRL’. For more cartoon in this series, check out here.